All levels welcome. This class meets in the Owl Hall on the main level of the Education Wing. A collection of collage materials from home: scraps of papers, newspaper, mesh, old letters, maps, drawings (things you donʼt mind collaging into artwork). Itʼs better if itʼs more personal to you and not bought from a store so just look around the house and bring whatever you have that could be good for collage. Also look for things with texture. We will be working mostly in black, white, and greys in order to strengthen our design and composition abilities. If you have experience with painting you are welcome to explore with color. Bring in any acrylic paints that appeal to you. Jackie Reeves was born in Montreal, Canada (1967) where she lived until 1995 before moving to the United States. The first fifteen years of her artistic career were spent as a professional mural painter for corporate, private and public spaces. Concurrently, Reeves co founded the Plymouth Community Art Center which offered art instruction, workshops and retreats for the surrounding community. In 2010 she returned to school and earned her MFA in painting at Massart (2012). Since then Reeves has exhibited in solo and group shows throughout Cape Cod and in Pennsylvania, Vermont, Washington DC and North Carolina. 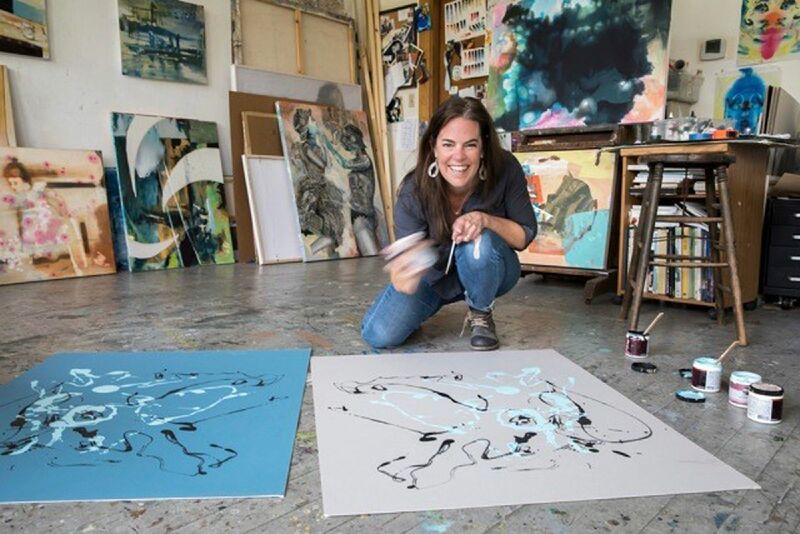 She has been profiled in numerous publications including the Boston Globe, Art New England, Artscope Magazine as one of “25 artists that have captured out imagination” and Cape Cod Art Magazine. In 2012 Reeves was awarded first place winner in a national competition with NKGallery in South Boston's art district (SOWA). In 2015 she was a finalist for the Arts Foundation of Cape Cod’s fellowship award. She currently lives in Sandwich with her husband and three daughters and works out of Chalkboard Studio in Barnstable Village, MA.